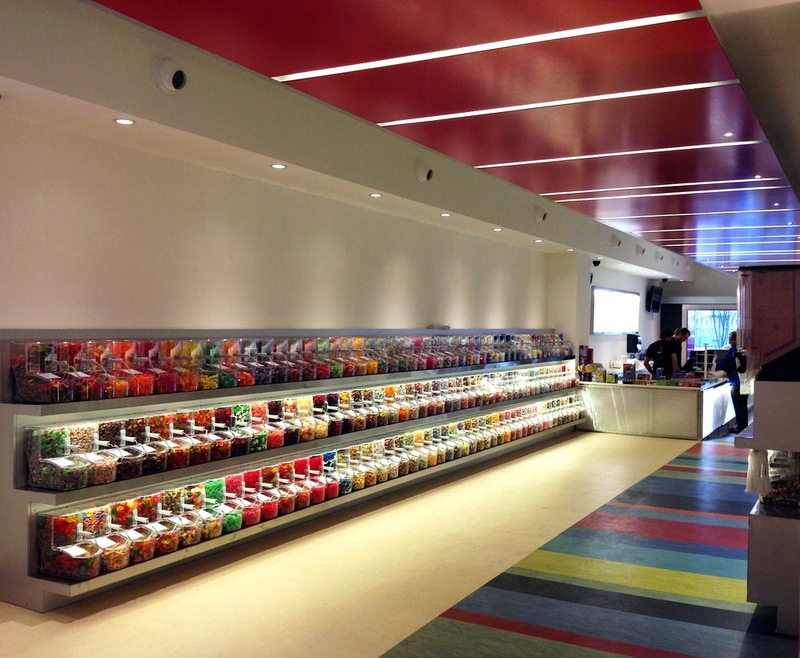 Jenco Brothers' Candy is a small, locally owned new business in Cincinnati that sells bulk and specialty candies. The owners had a limited budget, yet wanted to create a unique space that would showcase the vast array of their products. 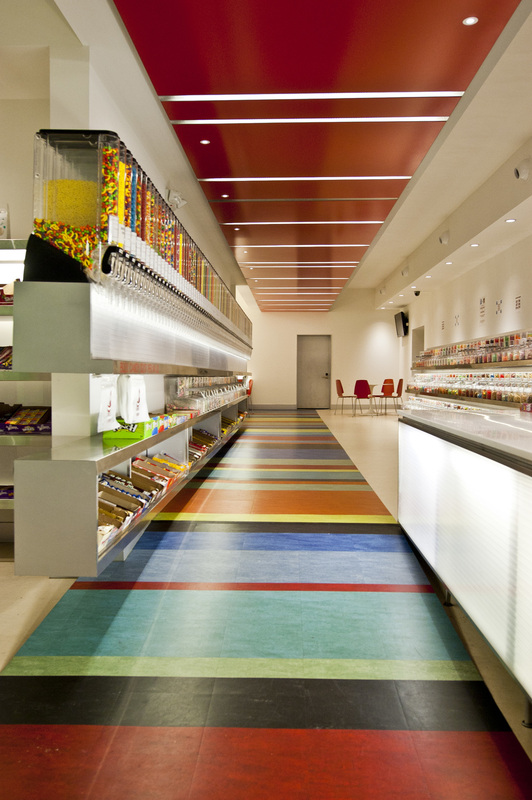 It was determined early in the project to maximize the use of lighting and color to highlight the candy. 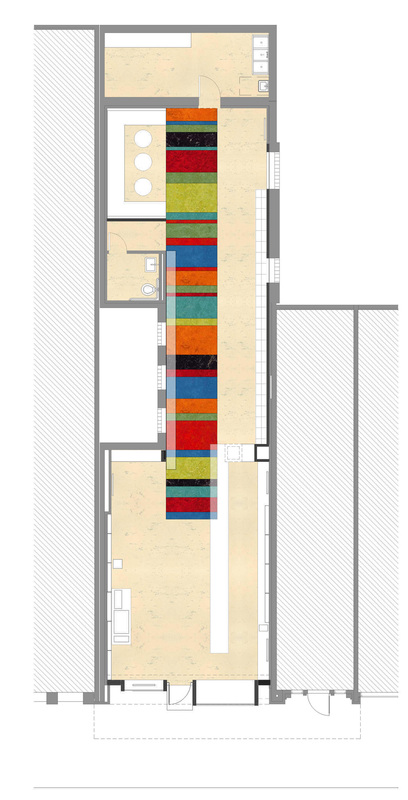 A field of multi-colored linoleum pieces salvaged from a floor installation company defines the strips of bins in the narrow space. The polycarbonate panels utilized throughout the space as backlit lighting surfaces were all discontinued remnants from a local greenhouse manufacturer. The red lacquered ceiling structure was designed to achieve a complimentary rhythm to the floor with zero panel waste. Translucent light strips between panels were fabricated by the architect from additional scrap polycarbonate and backlit with strip LED lighting. 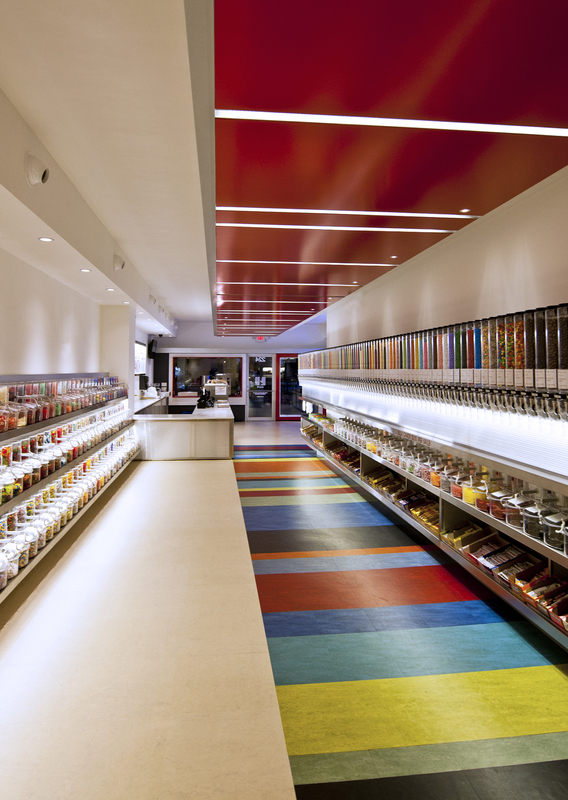 The stainless steel-clad candy bin armatures were custom designed and fabricated to work with standard bulk bin components, and are lit with rows of LED strip lights. 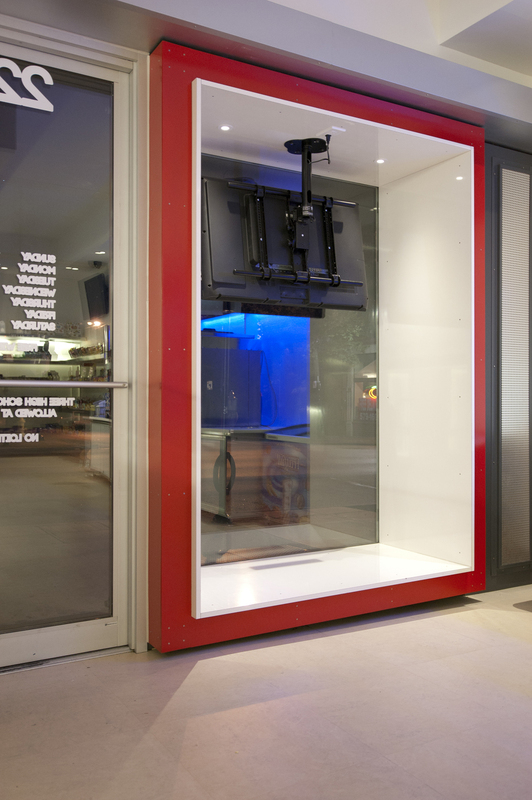 The storefront is constructed of 1 /8" steel plate window box frames inlaid with contrasting-color liners of steel on the exterior and laminate on the interior.